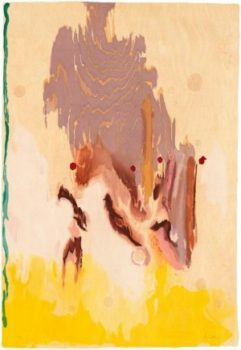 Like other great American artists of the 1950s and ‘60s, Helen Frankenthaler studied the artists that had gone before, examined their techniques, then took all she had learned and went down a path of her own, making interesting twists and turns, during a career that spanned more than six decades. 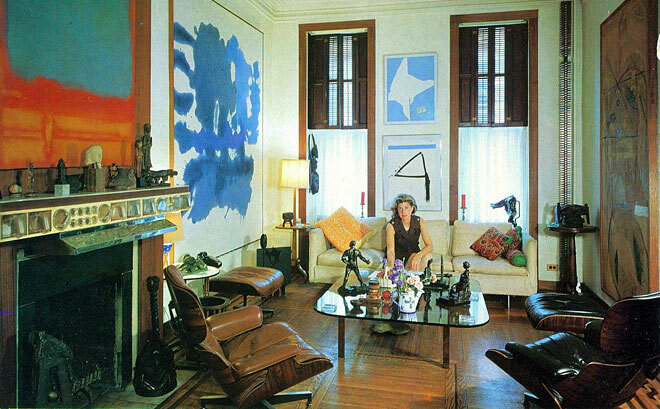 Frankenthaler studied at the Dalton School with the artist/muralist Rufino Tamayo. Born in 1928, on the Upper East Side of Manhattan, Frankenthaler was the youngest of three daughters. Her mother, Martha, emigrated to the United States with her family, from Germany, when she was an infant. Her father, Alfred Frankenthaler, was a New York State Supreme Court Judge. Although the family was very well off, Frankenthaler and her sisters were encouraged to study and prepare themselves for careers which would enable them to become responsible and independent. After graduating from Dalton, Frankenthaler went on to Bennington College, where she studied with Paul Feeley, who, at that time, was Director the Bennington’s art department. Frankenthaler graduated from Bennington in 1949 and returned to New York. She studied, for a year with Hans Hoffman, who as a teacher and a painter, influenced many of the abstract expressionist painters of the time. Around the same time that she was studying with Hoffman, she met art critic Clement Greenberg. Greenberg took her to see the works of Jackson Pollock. Frankenthaler was so impressed by Pollock’s work, that she began her own work on large canvasses, stretched across the floor of her studio. Unlike Pollock, who dripped paint on his canvasses, Frankenthaler thinned her paint with turpentine and let it soak into the canvas. This technique became known as soak stain. Mountains and Sea, which is on permanent loan at the National Gallery of Art in Washington, is 7’ 2 5/8” x 9’ 9 1/4”. The hues and forms that Frankenthaler was able to achieve with her soak stain technique pushed her, and some of her contemporaries, to experiment with large blocks of color. 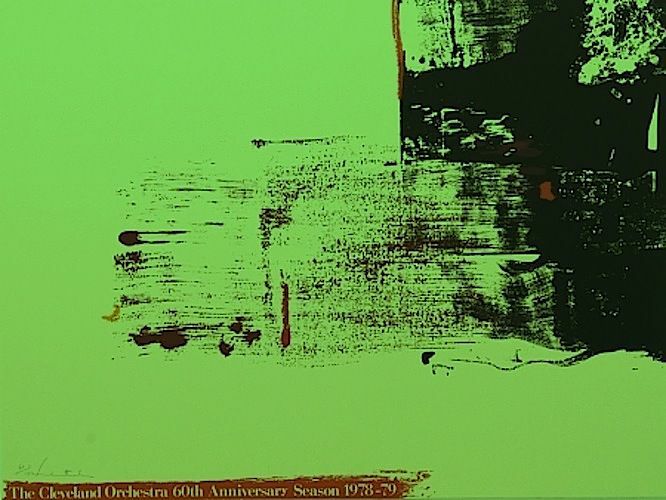 This led to the recognition of Color Field painting as a recognized style, although artists like Mark Rothko, had been painting in large blocks of color for more than a decade. 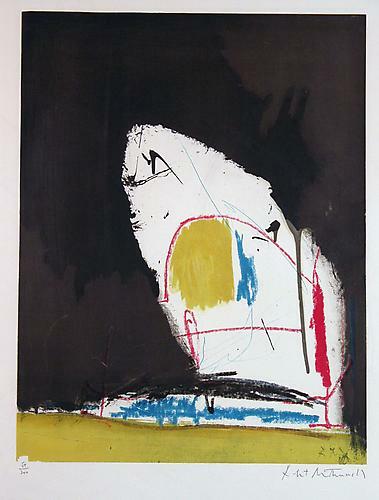 In 1958, Frankenthaler married Robert Motherwell. Although the couple was divorced in 1971, they had rock star status while they were together and managed, not only to travel and throw parties, but also to create some of their finest work. 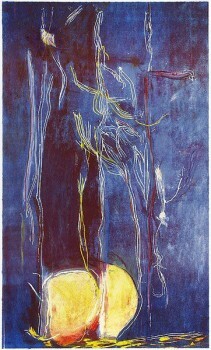 Frankenthaler experimented with different techniques and formats throughout her life. She began making prints in 1961, after being invited to work at Universal Limited Art Editions (ULAE) studio in Long Island which, at that time, was just starting up, and hoping to attract young artists who would help them make their mark as a premier print studio. 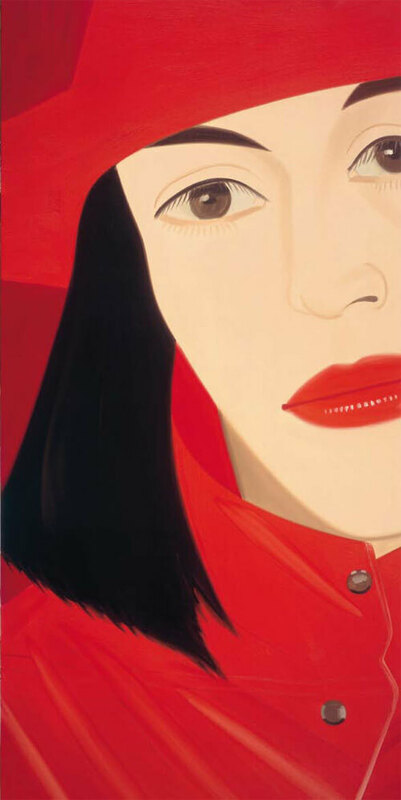 Her prints and woodcuts have become some of the most sought after and collectible of her work because of the extraordinary technique and style that she brought to the print medium. Frankenthaler posed for a Rolex watch ad in 1990, the same year that a retrospective of her work was on exhibit at MoMA. 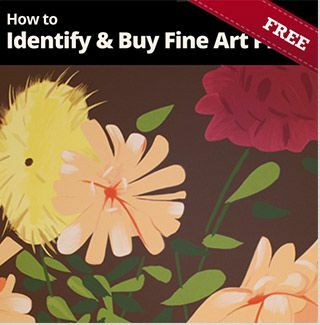 The ad appeared in Art & Antiques magazine. She married investment banker Stephen M. DuBrul, Jr. in 1994. The couple had an estate in Darien, Connecticut, where Frankenthaler had a studio and continued to create large, visually stunning works. 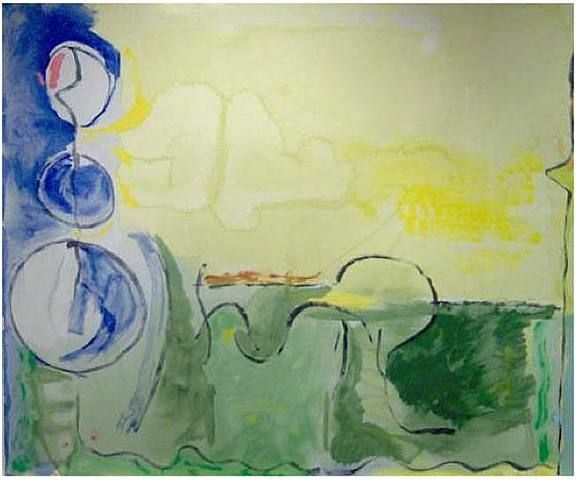 Frankenthaler died on December 27, 2011 at age 83. Her husband died one week later. Frankenthaler’s work can be found in major museums and galleries around the world. She was awarded the National Medal of Arts in 2011, served on the National Council on the Arts of the National Endowment for the Arts from 1985 to 1992 and was a member of the American Academy of Arts and Letters. 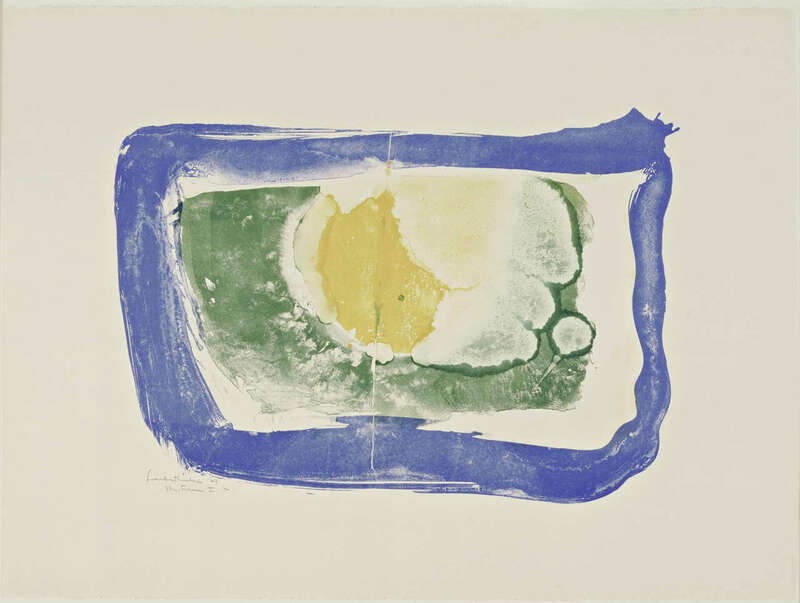 One of Frankenthaler’s greatest talents was combining Color Field with line and design. She perfected her work in print media in her Connecticut studio. Among our new acquisitions are works by the great American artists Helen Frankenthaler, Richard Diebenkorn and Ellsworth Kelly. Each of these artists was a masterful colorist, who used their skills to create powerful paintings and prints.